Cod fishing at its best! Perhaps not, but there was certainly some big Cod caught over the weekend. The numbers were not there, but the quality of the fish was superb. I know that Cod up to 18lb were caught from Chesil Cove to Dragons Teeth at Abbotsbury, and several marks in between. I know like myself a lot of anglers didn’t get Cod, but it was nice to see a break in the weather to get out. There was a lot of fish around, but it was mostly Dogfish, Pout and Whiting. There is another break in the weather today, before it gets rough again for a few days. The good news is that the long term forecast shows it being more settled for the weekend again. I had hoped to get over to Poole last weekend for a Flounder session with our local contributor Leo. Unfortunately that didn’t happen, but he went on his own in the morning to Lake Pier and managed a lovely Flounder in a short session. 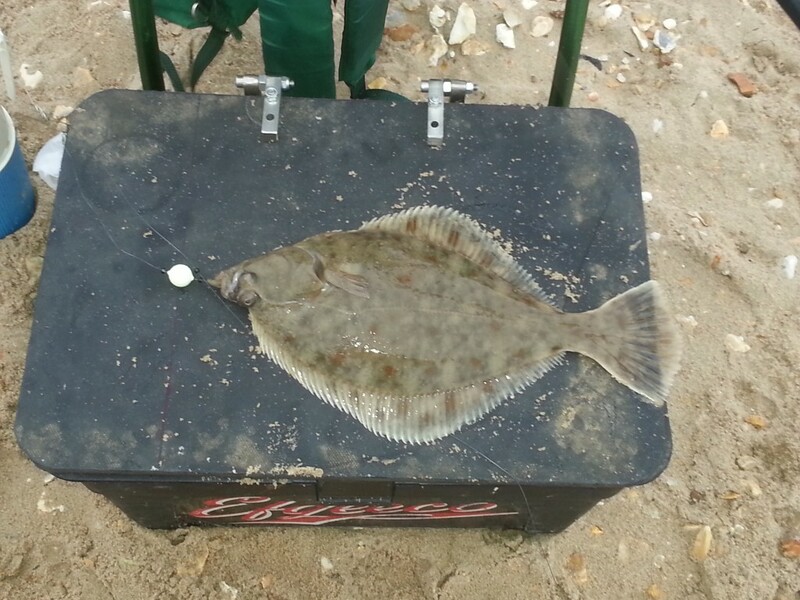 There was a 3lb 11oz Flounder caught at Holes Bay earlier in the week. Chesil Beach: 2m waves that will drop of later this morning. The water is very coloured. Portland: 2m waves with coloured water. Chesil Beach forecast: Take advantage of another short break in the weather and get yourself out today or tonight. Don’t expect loads of Cod, but the chances are if you get one it will be a good one. 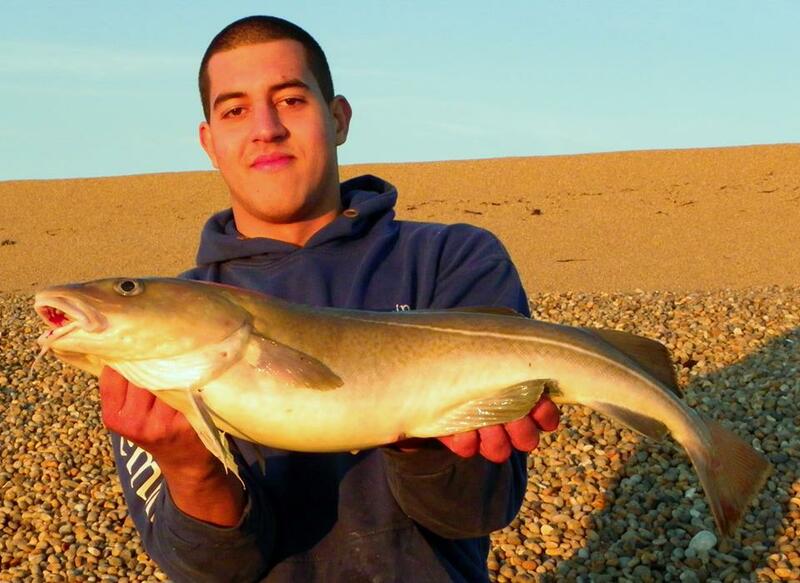 There is also a chance of a large Conger, especially from Abbotsbury and Bridging Camp. With coloured water I would expect the fish to feed close in even during the day. There will be plenty of Whiting along with the usual Dogfish and Pout. I always prefer to use Peeler Crab or Lugworm in these conditions. Portland: Because of the coloured water, you are just as likely to get Conger and Bull Huss during the day on Portland. I have no idea if the Wrasse are still around, as they don’t like rough and coloured conditions. They may have stayed as the water temperature is still high for the time of year. Portland Harbour: As I could not get over to Poole this weekend I fished Portland Harbour in search of Flounder and Bass. We only managed one bight between three of us all afternoon. The larger tides this weekend will produce better conditions for fishing the harbour, but it is still worth a go if you are looking for a sheltered mark. 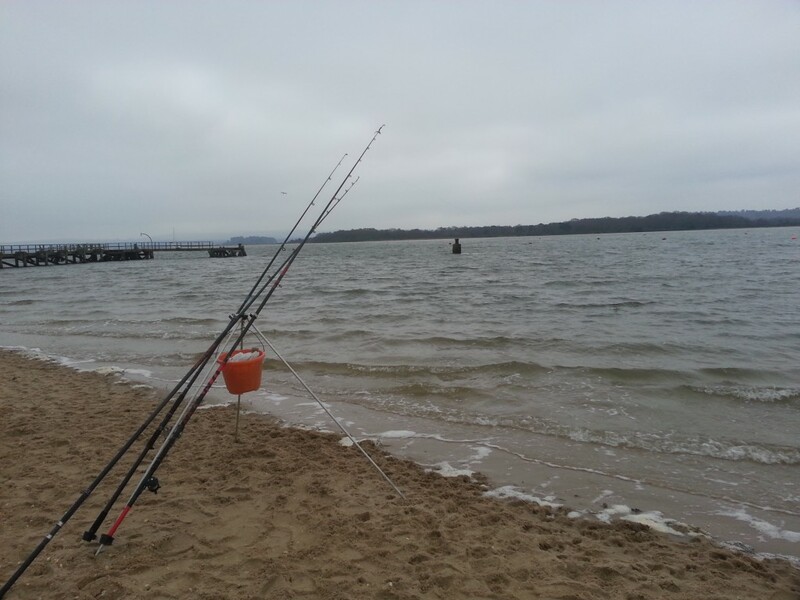 Weymouth Bay: Another mark that has produced plenty of fish over the past week has been Preston Beach. Dabs, Flounder, Bass and Whiting have all been caught. The Stone Pier has produced mainly smaller fish, but a few nice Flounder have been caught in the harbour despite the amount of freshwater coming into it.